I had a very serious post planned for today, opening sentences poised, and paragraphs half-written, then someone told me it was National Sandwich Day, and my mouth started salivating. Like one of Pavlov’s subjects, the word sandwich in my mind is irrevocably tied to Bánh mì which is a Vietnamese sandwich. Now I know that a lot of these National Day of Whatever have been started for purely commercial reasons, but for a person who loves food and eating as much as I do, any excuse to eat one of these is good enough for me. Bánh mì thịt heo nướng with cilantro, peanuts, large cucumber slices, julienned pickled carrots and daikon radish, and jalapenos. It wasn’t always like this. In the small town outside of Detroit where I grew up, Vietnamese food was made only by people related to me. At home. And we were not a family who went out to eat at restaurants except for very special occasions, and then to a Szechuan place about 20 minutes away in Garden City. The owner spoke Korean. My dad would start conversing with him, and ask for the special menu, meaning the dishes that weren’t found anywhere on the plastic printed menus with tiny red pepper symbols next to them. Pretty soon all manner of delicious foods were paraded out and placed on the table, from fried mandu (dumplings deep-fried to a perfect crispy texture, with a slightly chewy inside layer, with seasoned meat inside, just hot enough to make you inhale sharply through pursed lips, but not hot enough to burn your tongue) to seafood dishes brimming with crab, sea cucumber, shrimp, and artistically cut, slightly crisp vegetables swimming in an oyster sauce. Delicately seasoned broths with crackling bits of rice, browned just to the point of crispiness were an entree and not part of the first course. And, at the end of the meal, my dad would not even raise an eyebrow at the bill, always leaving the owner a generous tip, which would then make my mother’s eyebrows shoot up alarmingly. I don’t mean to say that we were deprived, as my mother has a knack for tasting a dish, and being able to replicate it, and most of us would prefer to have a home-cooked meal by her over any restaurant meal. But because of this, I grew up fairly unexposed to restaurant Vietnamese food, which is a little different from your home-cooked meals. The only way to get these was in Windsor, Ontario, which in the pre-9/11 days, was a 20 minute drive across the Ambassador Bridge to University Street. It felt like a foreign country, the sights and smells just like the Asian grocery store, but multiplied a hundred-fold. This was where I first saw the classic dangling barbecued red ducks, held up ignominiously by their clawed feet. We’d go into a number of different shops, through some algorithm in my mother’s head on who had the best prices for whatever she had in her mental list. I never saw my mother write out a to-do list or shopping list, and constantly wish I had her memory. She mourns the fact that she has trouble remembering things now as she used to know by heart all the phone numbers for all the telephone exchanges for the military base where she met my father. I tell her her memory has subsided to normal human level now. 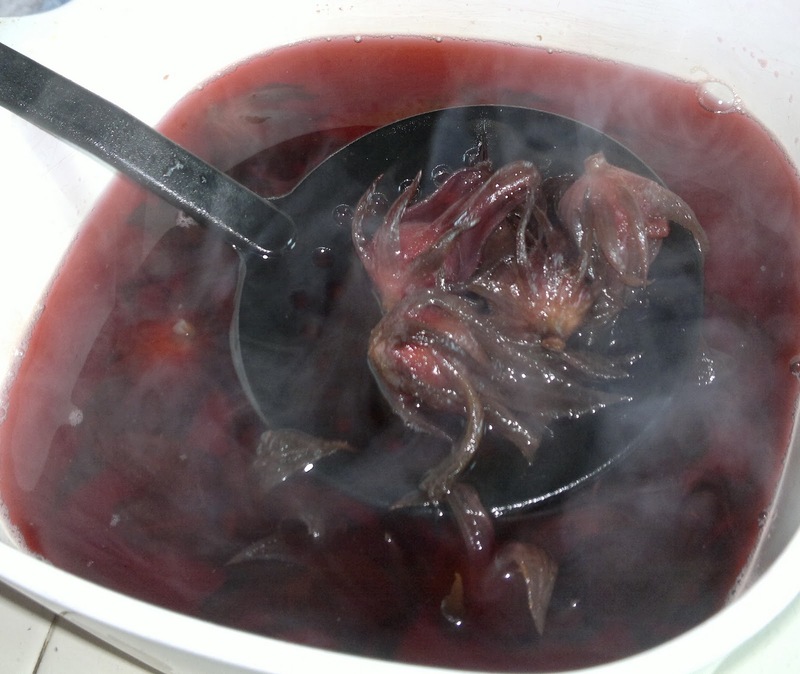 One of the visits was always to the herbalist, and the acrid, stinging scent brings back instant memories of the concoction she must have spent precious money on to try to fatten me up. The dark brown, murky liquid with various roots and leaves in it was brewed on the kitchen stove, then ladled into what looked to me like an impossibly large cup. A small piece of hard candy was laid next to it, as incentive to finish the entire thing, preferably without gagging or retching. The house would be permeated with the smell, and my brothers would watch me as I sat at the kitchen table, face resting on fisted hands, sympathetic but staying far enough away that they wouldn’t be noticed and possibly made to drink it, too. That was in the days when I was in such a hurry to get back to my books that food wasn’t such a priority to me, and I was, as my mother called it, “a toothpick”. It didn’t work, unless there is a delayed effect occurring 25 years later. Unfortunately, or fortunately, I’ve learned since then how delicious food can be. Part of that appreciation started with the Bánh mì sandwich. The kind my mother always bought was what is known as either bánh mì thịt nguội, or bánh mì đặc biệt. Bánh mì is a general term for all bread in Vietnamese, however, it is also synonymous with the sandwich, which is made from a French baguette made usually with wheat and rice flour (though I’m not able to taste much difference between those with rice flour and without). It is one good by-product of the French colonial times in Vietnam. Thịt means meat and nguội means cooled or cold. This is also sometimes known as bánh mì đặc biệt meaning a special sandwich, which seems more than appropriate to me. It’s filled with Vietnamese cold cuts which may include what we called Vietnamese bologna growing up or chả lụa (pork sausage), head cheese (more delicious than the name sounds, trust me), and sliced pork roasted with the classic red seasoning, and sometimes liver pâté. Though delicious, the meat wasn’t the best part of the sandwich, as it could not be complete without pickled carrots and daikon radish, julienned fresh cucumbers and cilantro. A buttery mayonnaise added some moisture and helped to bind all the ingredients together. Thrown in like little red hand grenades of spiciness were the deadly red Thai chilies, sliced to such minuscule portions that they were nearly impossible to ferret out completely, inevitably leading to abandoning the sandwich briefly for several glasses of water, followed by careful eyeing of the sandwich yet again, before taking the next tentative bites. 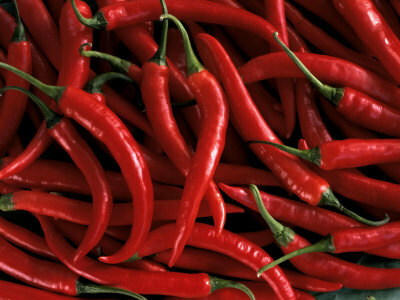 Because it is so delicious, and you think you’ve been meticulous about catching all the peppers, a few more bites will lead to thinking you are safe, and then another ninja chili will cause your tongue or lips to blossom in pain, and the whole process will begin again. These were a special treat, and each of us would get one small baguette for our own. These may look like ordinary Thai chili peppers to you, but be forewarned, they are stealthy and wicked. I thought perhaps at first that it was the novelty and scarcity of the sandwich which has also been called a Vietnamese po’boy or hoagie, which was the attraction. As I got older and got a chance to try many other kinds of sandwiches including reubens, Cubanos, Philly steak hoagies, and calzones among others (can you tell I have no issues with gluten sensitivity? ), the novelty of bánh mì wore off. Or so I thought. Then when I was in the process of moving to this high desert place we now call home, I made a phone call to the physician assistant program here, in the hopes that they might have an opening so that I could continue to be involved in educating PA students as I had in Detroit. The PA program director told me that she did not, but would be happy to take my name, and C.V. in the event that an opening came available. As I spelled out my name for her, the tone of her voice changed from polite interest to animated questioning. “Are you Vietnamese?” she asked. “Yes, well, half anyway,” I replied. “Can you speak Vietnamese?”, she asked, her voice becoming more excited. “Um, yes?” But what does that have to do with teaching PA students I wondered to myself. “No, I assumed it was mostly Spanish and Native American,” I responded, wonder dawning in my voice. In the end, I got to teach here, and not only that I discovered the proximity of not one, but several Vietnamese sandwich shops, Vietnamese restaurants, and even a Vietnamese church. I had gone from being related to the only Vietnamese people I knew (other than those I met in college), to a city filled with them, completely on accident. And so I did the only thing I could do. I went to every Vietnamese place I could find to try the bánh mì (and the phở, but that’s another blog post). Purely for research purposes, of course. I discovered bánh mì thịt heo nướng, what I now call the gateway bánh mì, filled with seasoned roast pork, a sandwich no one I’ve ever introduced to has ever disliked. And, like so many other things, I’ve discovered that there are many right ways to make a bánh mì, all of them informed by personal choice, with variations in bread which is normally baked on site, fillings, types of vegetables included, consistency of mayonnaise (which is definitely not Hellman’s) and chilis used. Here in the Southwest, those red ninja-stealth chilis have been replaced by jalapenos, which when seeded and sliced, often look just like the much more innocuous green pepper. Fresh, they could be green peppers in your sandwich. Except green peppers don’t make your lips feel like they want to fall off. Same effect, different chili, but still delicious. It turns out I was wrong. I’m pretty partial to bánh mì, even if I can have one every day. Though I’m not a tshirt collecting person, I would wear this. This entry was tagged #1000gifts, #banhmilove, #gratitudewaterfall, #longreads, #NaBloPoMo. Bookmark the permalink. Reblogged this on intro to extrospection. Although i am a vegetarian i loved your post. The thing that makes me interested in sandwiches is the story behind them, i mean how they were invented. STORY – Hillel the Elder (European)used to have wrapped meat from the Paschal lamb and bitter herbs between two pieces of old-fashioned soft matzah—flat, unleavened bread—during Passover ,this gradually came to known as Sandwich. Although i am vegetarian i like your post. They have vegetarian ones too! Have you ever tried banh mi boys? My first exposure to the banh mi and it is amazing! No, but I’d be game to try them! Enjoyed reading your post. I have tried it a few times at a few resort restaurants on Kaua’i. Personally, I like the one from the Hyatt. They make it mahi mahi and it was amazing! Oh my goodness, that sounds delicious and dangerous. If that were me, pretty soon I’d be easier to jump over than go around! Haha it didn’t end well for my figure that’s for sure. There is positively nothing better…id do cruel things for a banh mi 😬 great post! Thanks! Hopefully you don’t have to, though, lol. Love it myself! Grew up eating it. Something magical about the combo that every bite makes you want more. And sometimes 1 is not enough. They need to make a foot long! Lol! Still my first choice of sandwiches, perhaps relatively healthier than others. Magical is the right word. They are foot long ones out here! Boom! Sandwiches?? I’m down with that! Bánh mì is my favorite Vietnamese food. It’s just crazy to think that the little sandwich can have that many flavors, all mixed together but at the same time easily recognizable. Great post. It makes me crave bánh mì now. Great post!!! I have always wanted to try one, but haven’t. I have no idea why I haven’t. I think I’ll search for one this weekend! Oh, thank you for this post! Banh mi was one of my favorite parts of Vietnam. There was a cart on almost every major road, and of course they were served in most restaurants. What a treat to move to a city where you can enjoy so much! I live in a small Midwestern town. The restaurant choices here are limited considering the rather diverse nature of our college town. I miss Vietnamese food that I used to get in the Twin Cities. I can only hope some of the good folks who have come in from Africa and Asia will open restaurants that feature their cuisine. I would love a Bahn Mi. I’d settle for a decent Muffuletta! Thanks for a great read! I know exactly how you feel, and am blessed to now live in a place with more diverse food choices, as my waistline would attest to, lol. Good luck! Pingback: Ode to Bánh mì | Storytelling got entertaining! Confessions and many laughs. My husband loves a bang mi whereas I’m a pho lover so I’m looking forward to that post.